Whether you just moved in or your space simply needs a revamp, decorating your home can be a fun and exhilarating experience. The kitchen, living area and bedroom are normally prioritized, but you can’t forget about the entryway! 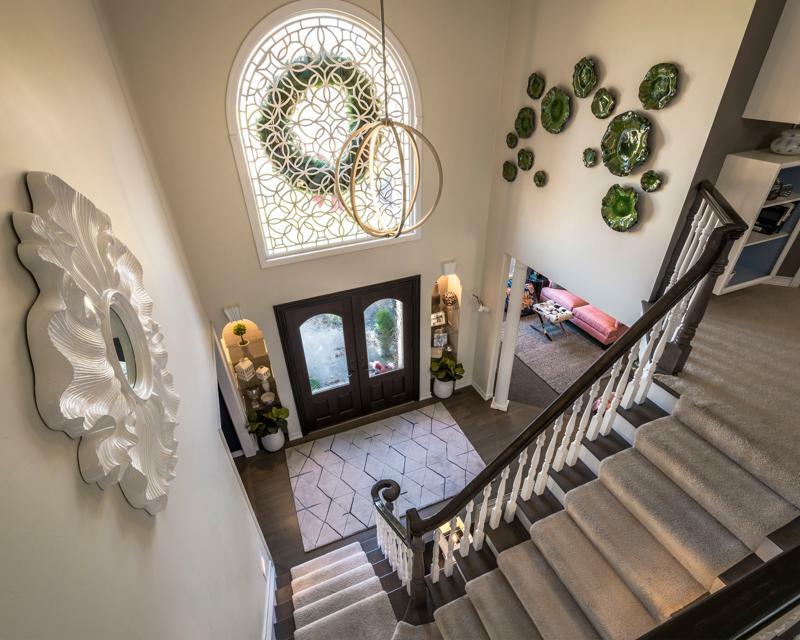 Your foyer is essentially the first impression of your home. When your guests arrive, this place will set the tone for the rest of their experience while visiting your residence. That means you need to pay attention to detail and take time executing a design that flows with the rest of your house. If you want to wow your guests from the moment they step inside, consider a bold color scheme. Red encourages a warm welcome, according to Real Simple magazine. A bright hue like yellow is great, too, as it emphasizes feelings of happiness, clarity and positivity. Choose a daring color scheme and follow it from the walls to the accents in the space. You might think there’s minimal places to decorate in the entryway since it’s likely an enclosed area, but you can take advantage of the vertical space to express your style and personality. Hang artwork, photographs or shelving with accessories to give the walls of your entryway some character. Keep your wall space in mind while decorating the entryway. It’s easy to let the entryway get cluttered if it’s the first place you and your family members stop when they get inside. Instead of using a seat or side table in the foyer to collect your jackets and accessories as you enter your home, use organizational structures that are both stylish and functional. Shelving, hooks and cubby holes can be utilized in your entryway to keep everything in order. Don’t neglect your entryway flooring – this space is often neglected and can lead to serious wear and tear if it’s the main passageway for you and your guests. A stylish area rug that’s designed to disguise the wear that comes with heavy foot traffic is a chic yet totally functional accessory for the foyer. A runner is another option, which is perfect for a narrow entryway. If space allows it, having a seating arrangement in your entryway is a simple way to make the area feel more like a room rather than a place that’s just filled with decor. Place a bench or a lounge chair in your foyer and accessorize with throw pillows and blankets to make your guests feel more comfortable, setting the tone for a cozy and inviting experience throughout your home. Even if you’ve lived in your house for a decade, it’s never too late to think about decorating your entryway. If the idea of sprucing up this small yet substantial area in your house intimidates you, call a personal decorator from Decorating Den Interiors. He or she will come to your home for a free consultation to evaluate the allotted space and discuss your style and ideas for the space. From there, you can construct a plan for designing the entryway of our dreams. Now’s a great time to spruce up your living space. Contact a design consultant from Decorating Den Interiors today! Discover project stories, how-tos, and tips from our interior designers and decorators. Tuesdays are the day to watch your inbox for ideas that your home will thank you for! The latest news and inspiration, sent directly to your inbox.